David McKenna caught this belting rainbow on Saturday. He lost one much bigger! 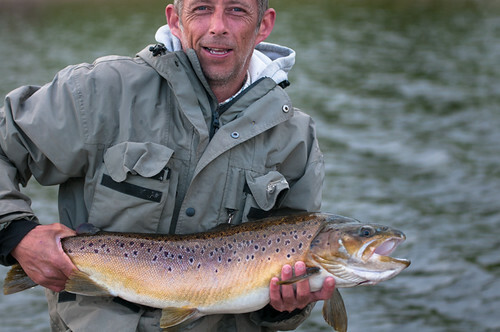 Michael Low caught this lovely fish on one of his awesome Fario fly patterns. Dermot Speight caught the rainbow, estimate to be over 10lbs, on a cormorant near Willow Island on Sunday. This entry was posted in Stocks Reservoir Fishing Reports on February 26, 2019 by staff. This entry was posted in Stocks Reservoir Fishing Reports on February 25, 2019 by staff. This entry was posted in Stocks Reservoir Fishing Reports on February 24, 2019 by staff. Awesome opening day. 12.6 rod average from the boats and 7.7 from the shore. 7 tagged fish. Double figure rainbows. Browns to 8lb. Click on the Stocks reservoir Facebook page link for a video report. This entry was posted in Stocks Reservoir Fishing Reports on February 23, 2019 by staff.